Peter Lackner began theatre in acting and playwriting at Pomona College and Yale Drama School until dropping out in 1969 to travel with the Living Theatre. 1972 continued grad school at UC Santa Barbara, focusing on directing and German drama. As Masters project directed US premiere of Peter Handke’s The Ride Across Lake Constance. 1973 San Francisco: composed music for and acted in NEA-supported projects of the Firehouse Theatre. 1974: one-way ticket to explore European theatre and reconnect with his German/Austrian roots. Assistant-directed in major State Theatres of West Berlin, married Barbara who became and still is his favorite costume designer. Fifteen years of directing in Germany included the postwar premiere of Georg Kaiser’s Klawitter at the Akademie der Kuenste Berlin (commissioned for 1979 Berliner Festspiele), Fugard’s The Island at the Schiller Theatre, Jarry’s King Ubu at the Landestheater Tuebingen, and in 1989 the West Berlin premiere of Harald Mueller’s Death Raft. Completed PhD in Theatre Studies at the Freie Universitaet Berlin, taught acting and directed projects at the West Berlin acting academy, the Hochschule der Kuenste Berlin. 1989: became professor at UC Santa Barbara Department of Dramatic Art and Dance, then Director of Theatre and later Department Chair. 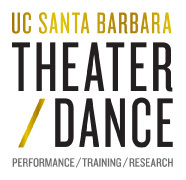 His UCSB directing included Ernst Barlach’s The Flood, Tina Howe’s Museum, The Oresteia of Aeschylos, Ellen Anderson’s Liz Istrata, Brecht’s The Good Person of Szechwan and Mother Courage, Botho Strauss’s The Park, God’s Country by Steven Dietz, Beckett’s Waiting for Godot, Shakespeare’s As You Like It, Robert Potter’s Amusia and Nicky Silver’s The Maiden’s Prayer. For over a decade was Artistic Director of UCSB resident summer company Theatre Artists Group, for which he directed Goethe’s Faust I & II, Chekhov’s The Sea Gull, and the Independent Award winning productions of Garrett-Groag’s The White Rose and Shakespeare’s The Tempest. 2001: retired early from UCSB to freelance at theatres such as Vagantenbuehne Berlin, where he directed Harald Mueller’s Deathraft and the European premiere of Laramie Project (tour to Cologne Theatre Festival in 2005). Directed various events at Santa Barbara’s Center Stage Theatre, including Bob Potter’s The Space Between The Stars, a staged reading of Liz Istrata, and an evening of short stories and music written by his father Stephan Lackner. Over the years directed four shows at Santa Barbara’s equity house, Ensemble Theatre Company: Marivaux’s Changes of Heart, Douglas Carter Beane’s The Country Club, and the Independent Theatre Award winning productions of Marivaux’s The Game of Love and Chance and Ibsen’s A Doll’s House. 2006: received Independent Theatre Award for directing The Odyssey at the Santa Barbara Lobero Theatre for the Boxtales Theatre Company (which also received an ‘Indi’ for “Outstanding Ensemble Production”). By popular demand The Odyssey was revived at the Lobero and then toured to LA, at the Thousand Oaks Civic Arts Plaza Performing Arts Center. 2009 directed the highly acclaimed premiere of One Day: Sarah House, by Dories Baizley, a delightful collaboration with Barbara Lackner and percussionist brother Tom Lackner in support of the unique hospice Sarah House, which creates a true home for the homeless and destitute during their last phase of life.